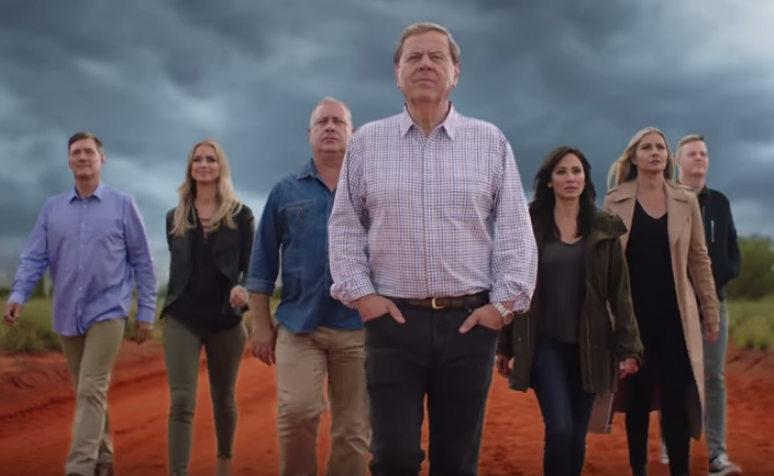 In this show hosted by Ray Martin, six celebrities will ‘get a sense of what it’s like to be an Aboriginal Australian’ over a span of 28 days. The second season of First Contact is set to air on SBS and NITV next month, with six well-known Australian celebrities being taken on ‘one epic journey into Aboriginal Australia’. They are ex-One Nation politician David Oldfield, singer Natalie Imbruglia, actress Nicki Wendt, former Miss Universe Australia Renae Ayris, and radio personalities Tom Ballard and Ian ‘Dicko’ Dickson. Two famous names particularly stood out to us from the promo after they made some bold admissions. And while it’s easy for us to quickly condemn these stars as racist and insensitive, it should also be appreciated that they are speaking with honesty. After all, their views are shared by many others in Australia, but they just happen to be the mouthpieces…. who can either continue to encourage such perspectives, or perhaps learn something from their experience on the show and form different opinions in the future. “If pushed I would have to say I have had racist thoughts about Aboriginal people. “I know a lot of Aboriginal people believe they’re owed something but I just feel like everyone should be treated equally. The other stars also offer their views in the quick clip, with Ian ‘Dicko’ Dickson revealing he’s given up alcohol as a mark of respect, while Tom Ballard touches on the notion of white privilege. Check out the promo below and let us know what you think by heading to our Facebook or Twitter or Instagram pages.